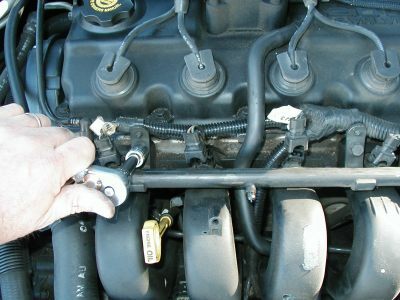 How to remove the top-feed fuel injectors on a 96 Dodge neon 2.0 L engine. It takes very few tools and can be done in a matter of minutes. 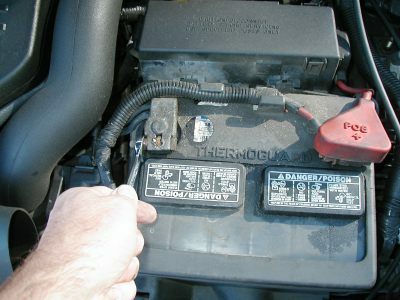 The battery needs to be disconnected for safety. This also resets the engines computer so it can "learn" the cleaned fuel injectors quickly. This fuel rail has a schrader valve that works, and looks like a tire valve stem. 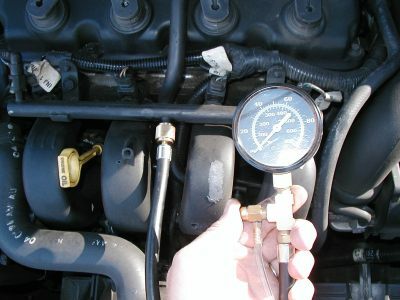 We hooked up a fuel pressure gauge to relieve the fuel pressure. This one didn't have any pressure, probably caused by a leaking injector. 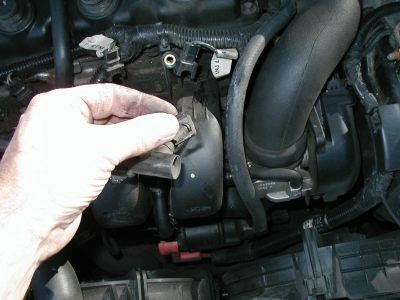 The electrical connectors are now removed, just pull. These are already marked with the cylinder number fron the factory. 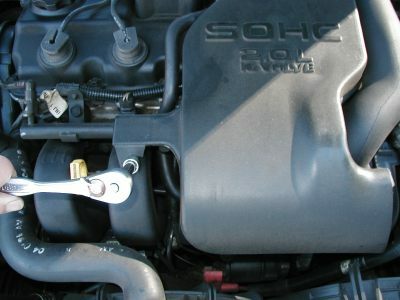 Remove the 2 bolts that holds the fuel rail down. 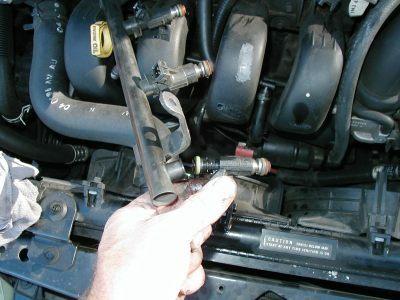 Lift the fuel rail up and the injector will come out with it. Slide the injector retainer clips off each injector. 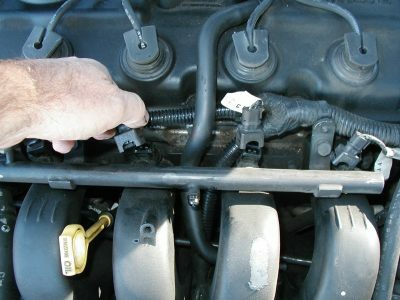 Remove the injectors, there will be some fuel left in the rail so keep a rag nearby. 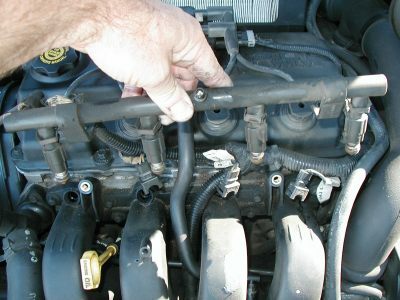 Simply reverse the procedure for the installation, be sure to put a little oil on the o-rings so they slide into the bores easily.